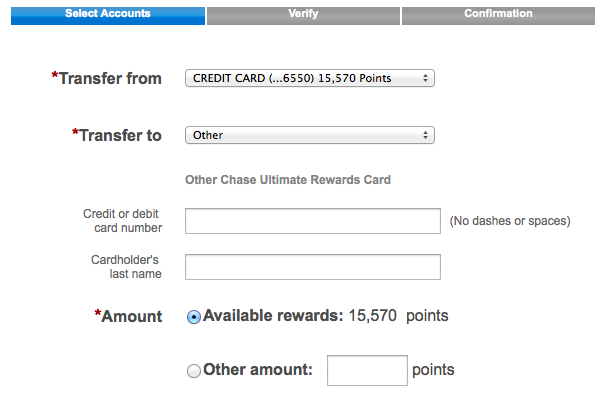 On Thursday, I posted about how to combine Chase Ultimate Rewards Points. Today, similar post but around transferring/combining Starwood Preferred Guest points. Like Chase UR points, SPG points are incredibly flexible. You can use them to redeem for hotels, combine with cash for hotel redemptions, or transfer to a variety of airlines at a 1:1 ratio and receive a 25% bonus (5,000 for each 20,000 point transfer) on top of that! Starwood also allows you to transfer points between accounts but the accounts must have been opened for 30 days and be registered to the same address. This works great for couples or roommates. During Emily's latest round of credit card applications, she picked up the Starwood Preferred Guest Amex card. Part of the sign-up bonus offer was 10,000 points after first purchase. Those points posted a couple days ago and I logged in to her account to transfer/combine/consolidate them into mine. Under the "Quick Links" menu, select "Redemption Options"
Scroll down to the very bottom of the page and select "Transfer to Another Member"
Complete the form and click "Transfer"
The form states that transfers typically take 5 business days but in my experience, it's more like 2-3. Yet another great option for leveraging Starwood points. Keeping your points in one account (especially if that account has elite status) will ensure you get the most bang for your buck on your redemptions. Chase Ultimate Rewards are one of the most valuable points currencies because it's easy to earn a ton of them and they are incredibly flexible. Chase offers the ability to transfer points (at 1:1 ratio) to ten different travel partners. 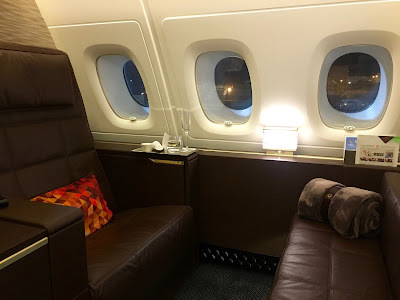 I typically transfer my Ultimate Rewards points to United, Hyatt, or British Airways (in that order) because they offer the best value and return. One great thing about the UR program is the ability to instantly transfer points between accounts. This benefit really comes in handy if you are close to an award and need a few thousands points from a friend or relative. Emily and I keep our stash of UR points in my account so about once per month, I login to her account and transfer them over to mine. 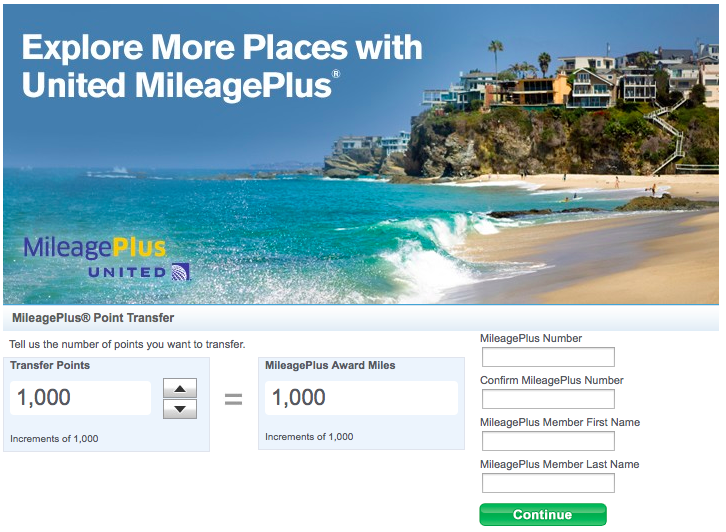 Under the "Earn Faster" menu, select "Combine Ultimate Rewards Points"
That's it. This process takes a couple of minutes and because of the instantaneous nature of these transfers, can be extremely helpful when ready to book an award flight/hotel night.